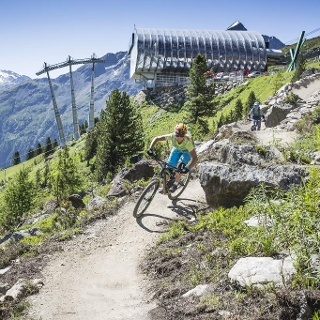 This Enduro Route leads from Sölden via Kaiser Trail further on to Aschbach. 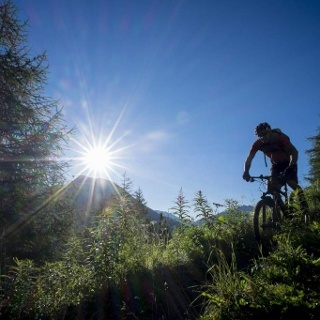 The new Ötztal Cycle Path (11) takes you uphill and back to Sölden again. A perfect trail also in the afternoon, suitable for some after-work exercise. 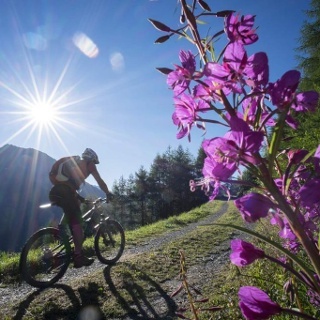 This magnificent route travels northwards on the Ötztal Cycle Path (11) and along the Kaiserwald Route (603) mountain bike trail. 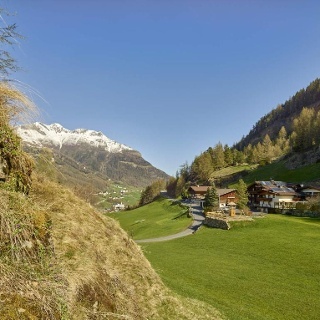 At the edge of Sölden, in the hamlet of Kaisers, you turn right towards Höfle. The 129 meters of altitude gain must be conquered almost on this first stretch, starting on the asphalt road up to Höfle and leading into the forest trail on a gravel path. You continue on the red Kaiser Trail (698) starting at the end of the gravel route. 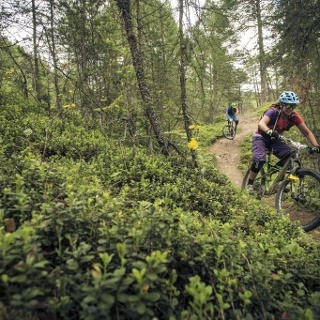 Short sections with many tree roots and some precipitous spots add to a challenging tour. In wet weather this trail needs a lot more time to dry again. 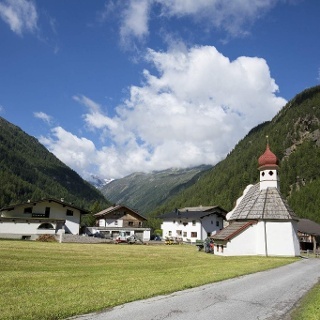 After about 500 meters the trail joins the Ötztal Cycle Path which takes you to the junction towards Brand. In Aschbach you cross the main road and continue on the Ötztal Cycle Path in the opposite direction. 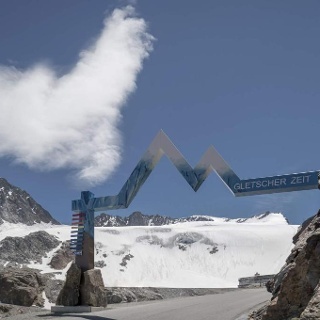 Soon you'll reach Sölden and Freizeit Arena again. Be very careful on Kaiser Trail (698) as this one is a Shared Trail for bikers and hikers. It is suitable only for very skilled sportsmen as the surface remains very wet and slippery after periods of rainy weather.